t single title ”Chika Bonita”, featuring Mystro and Terri. 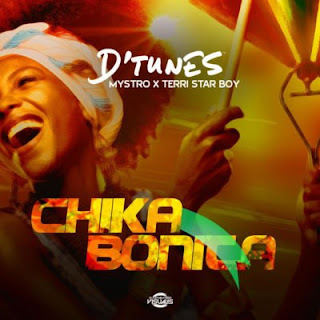 D’Tunes who started the year on a good note with the release of Debe featuring DMW Mayorkun & HyperDandy keeps it topnotch with a new banger ‘Chika Bonita’ as he links up with Mystro sugar and Terri Starboy to deliver this masterpiece. ”Chika Bonita” is dance tune self produced by D’Tunes that will definitely make you want to hit the dance floor, it a follow up to his double release with Teni, Simbobo + Kolesi.